I was 24 when I found out I was pregnant. I didn’t know what to do and wasn’t sure to whom I could turn. I told my roommate who offered to drive me to an abortion clinic. The only other person I told didn’t say anything. I didn’t want an abortion. I wanted help and hope and support. My fear and confusion quickly became desperation. I was so unsure of myself, and yet the only choice I could see was abortion. I took that ride from my roommate. My abortion was the most horrifying experience of my life. The women were treated like human cattle. I was told over and over about “a bunch of cells,” even though I was 10 weeks along. I was only asked, “Will that be Visa or MasterCard today?” I believed all of the lies that I was told. Five years later, I was married and pregnant. I was very excited and longing to somehow make up for what I had done. Ten weeks into my pregnancy, I started to bleed. I was told my baby’s heart had stopped beating. I was miscarrying. I ended up delivering that little one into my hand. I saw with my own eyes that this WASN’T “a bunch of cells”! I saw tiny toes, feet and legs, fingers, hands and arms, a tiny little rump, and a precious little face. I began the journey of abortion recovery. It has not been easy. I had to accept the truth and face the pain and grief of loss. I have received grace and forgiveness and now offer that to other women through Rachel’s Vineyard. 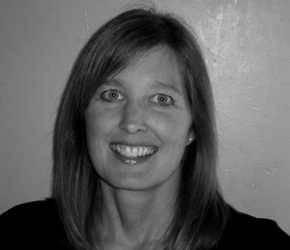 Carla Stream is a pro-life speaker, sidewalk counselor, and a Rachel’s Vineyard Facilitator. She is also the lead moderator on Jill Stanek’s blog http://jillstanek.com. Jill was named a Remarkable Pro-Life Woman® by Feminists for Life in 2003.